URL Rewrite is a module for Windows IIS (Internet Information Service) web server, which allows Web administrators to easily build powerful rules to manage links on your site. To use this module you must need to enable it in IIS. The question is here, How do I enable URL Rewrite module in IIS web server on Windows? 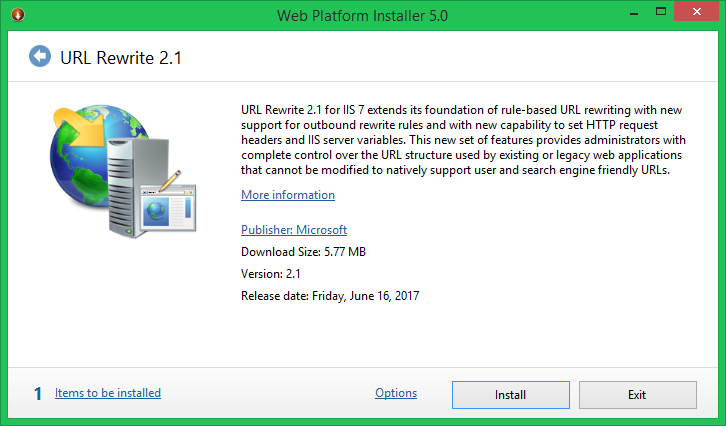 You can use Microsoft Web Platform Installer to install URL Rewrite module. Alternatively, visit below URL and download this module and install it. 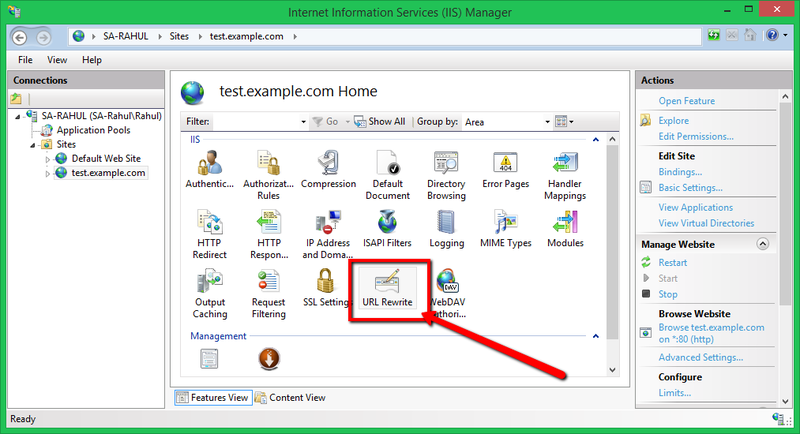 After installation, you will find URL Rewrite option under HTTP features section in IIS settings. Now, you can add own rewrite rules. This also allows importing rules like from .htaccess. You may also require enabling Application Request Routing (ARR) with Rewrite module. IIS Application Request Routing offers administrators the ability to create powerful routing rules based on the URL, HTTP headers, and server variables to determine the most appropriate Web application server for each request. You can configure your IIS to work as load balancer using this module. Visit the below URL and download the given extension. Install this on your system to enable the extension in IIS.